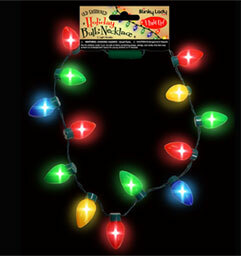 You’ll be too cool for YULE when you get your funky chunky Retro Holiday LED Light Up Bulb Necklace here! 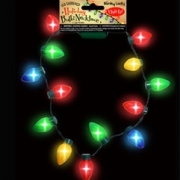 Bring back the nostalgia of this ever popular old days with the whimsical string of lights fashioned into a holiday necklace! 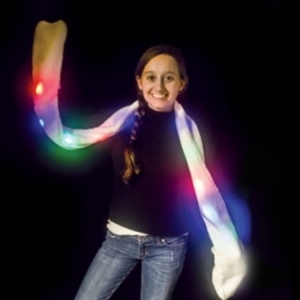 Perfect for the office party, concerts or to be the hit of the Ugly Sweater Party or any event.With 13 bright LED bulbs in multiple colors you get a light show with every press of the easy on/off button. Measuring in length at 39″ this necklace is sure to bring cheer to all and fit any Santa. 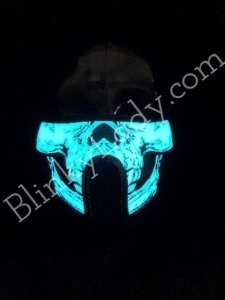 Three light modes: Strobe, Fast Flash and Constant get you glowing with Red, Yellow, Blue and Green LEDs. Caution Choking hazard – small parts. Not for children under 3 years.Entanglement Hazard. Not for children under 3 yrs. 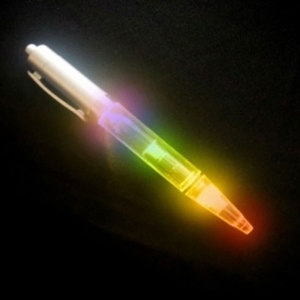 As with all items containing straps, strings and cords, this item may present an entanglement hazard for your children or if misused. 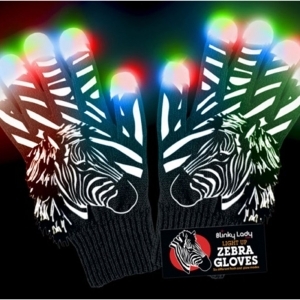 Zebra LED Light Up Gloves With Fluffy Mane ~ EXCLUSIVE TO BLINKY LADY!